Hit keyboard 'S' (Scale), then 'Y' (Y-axis constraint) and input '0.5' to scale it down. Alike the image below. Switch to 'Top Ortho' view (no. '7' from Number pad). In 'Edit' Mode, Click 'Face Select' and multi-select the top four faces on the right hand side (hold 'Shift' key to multiselect faces. Slide mouse to inset extra faces. 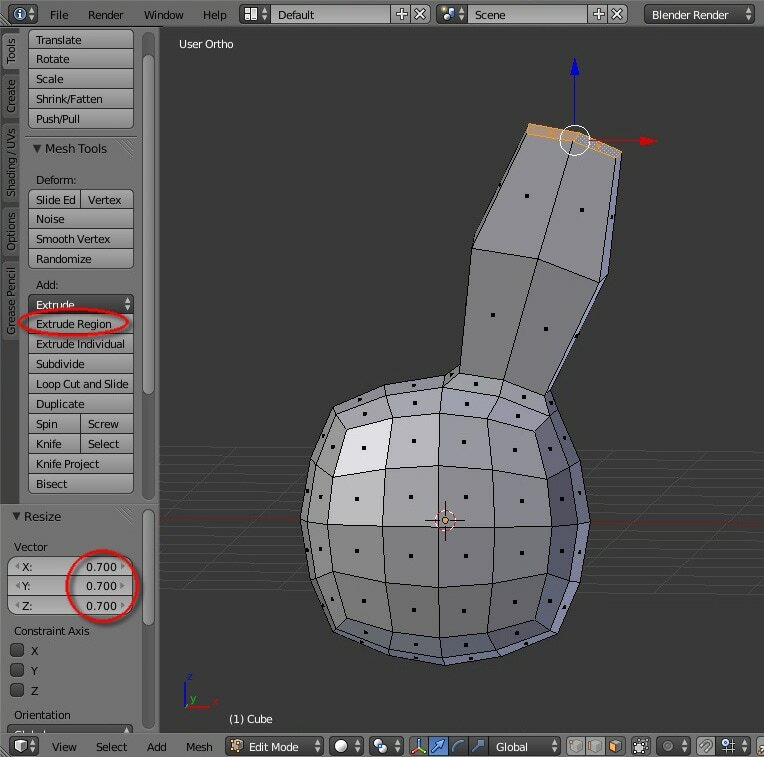 Under Inset Faces sliders, input value of '0.15' for both Thickness and Depth. With the top four faces selected, click 'Extrude Region' from 'Tool Shelf'. 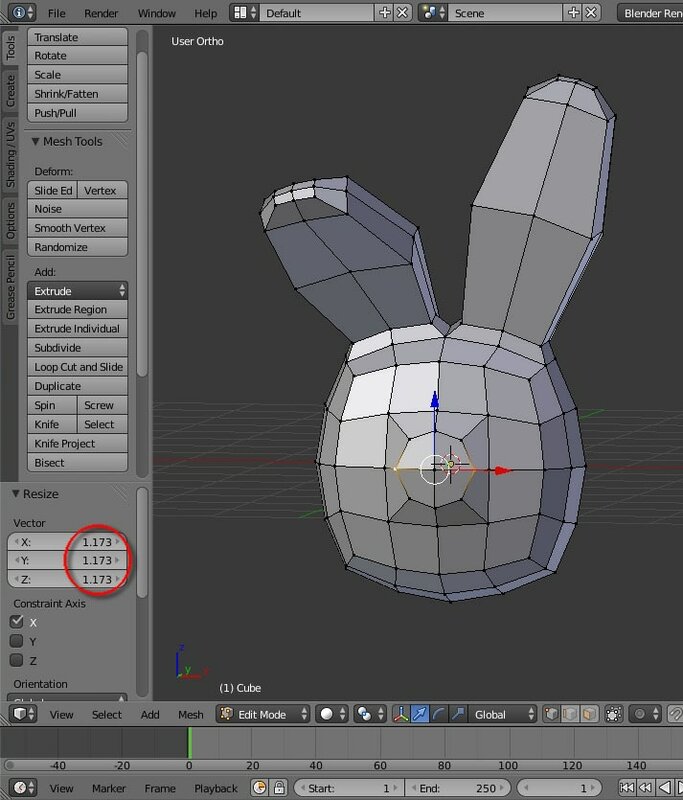 Drag mouse to extrude the ear (D: 1.35 for result on the right hand side). ​Hit keyboard 'S' and input '1.5' to scale up the faces. 'Extrude' once more and Scale down to about '0.43' to complete the ear. 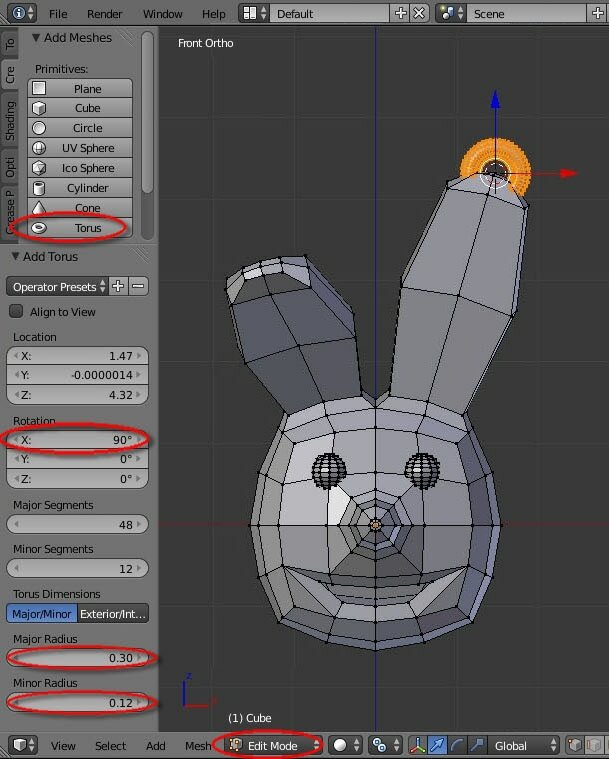 Repeat 'Inset Faces' then 'Extrude Region' to create another ear. *or follow next step if you want to bend this ear. After first extrusion done. Scale up the faces to '1.5' , then Rotate ('R' key) and Move ('G' key) to bend this ear. Extrude once more and bend again. Extrude once more and Scale down to complete this ear. Multiselect (hold 'Shift' key) the four faces in the middle. Click 'Inset Faces' and apply '0.25' for the Thickness and '0.2' for Depth to inset the extra faces. Switch to 'Vertex Select' Mode from the Menu bar. Multiselect the 4 corner vertices. Scale them down to create shape of a nose alike the image on the right. 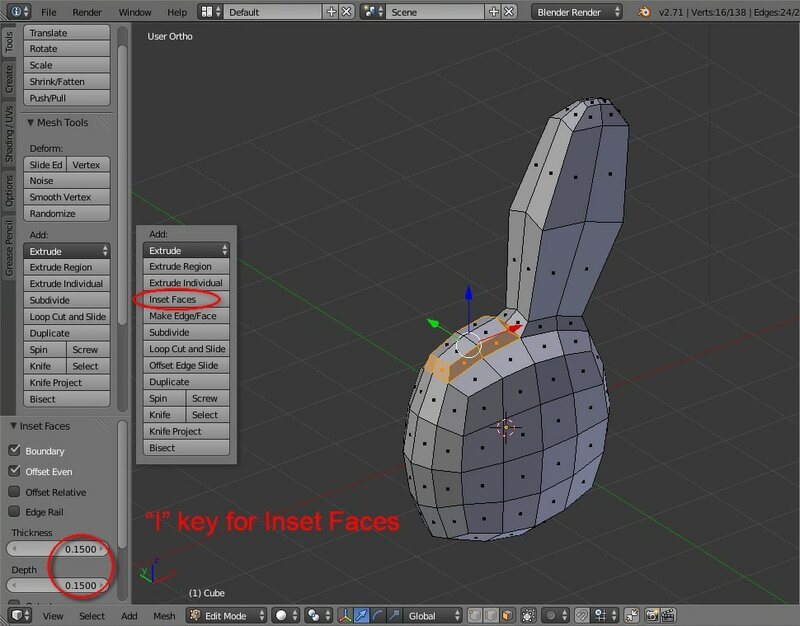 Select the 4 center faces and Extrude twice to create nose. Switch back to 'Face Select' Mode, select the 4 faces, apply 'Inset Faces' and input '0.15' for both Thickness and Depth. Unselect vertex ('A' key from keyboard). Click 'Knife' from Tools menu. Click twice to apply Knife effect to cut each face. Switch to 'Face Select' Mode and multiselect the mouth faces. Apply 'Inset Faces' and input '-0.15' for Depth this time. 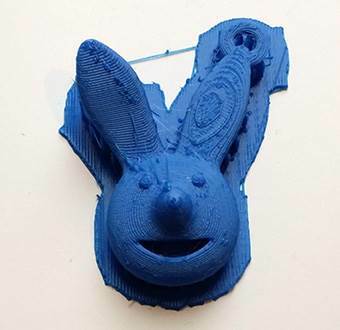 Select the middle faces and apply 'Extrude Region' and push inside to form the mouth. Switch to 'Vertex Select' Mode and select the vertex to locate the first eyeball. In Menu, goto 'Mesh' > 'Snap' > and click 'Cursor to Selected'. The cursor parks to this vertex. 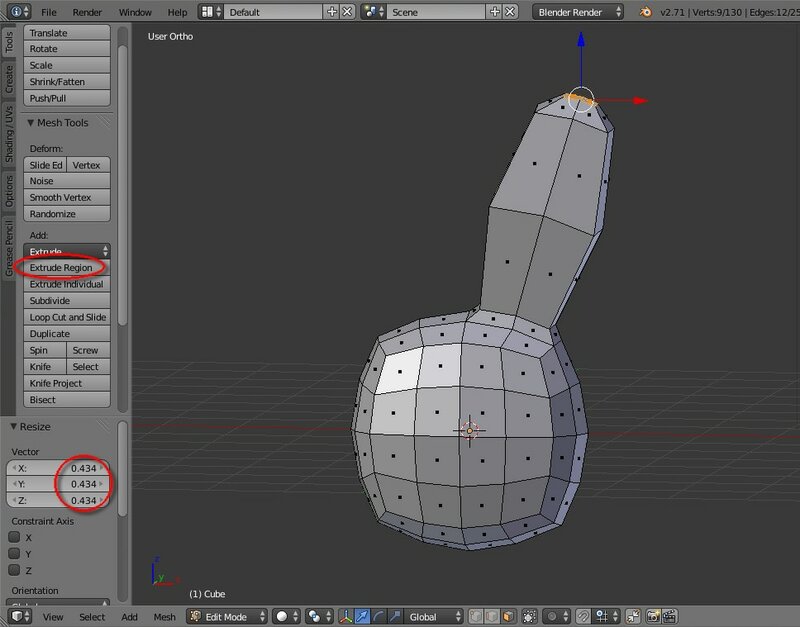 Goto 'Create' tab in the Tool Shelf, click 'UV Sphere' to insert a sphere. Input '12', '12', and '0.2' to create the first eyeball. Select the other Vertex. Repeat above process to firstly Snap cursor to this vertex. 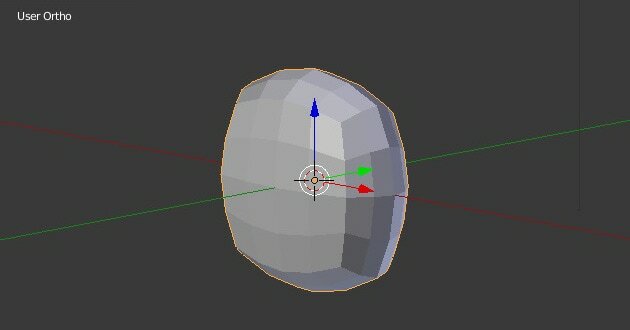 Then create another 'UV Sphere to form the second eyeball. In the Menu bar, switch to 'Object Mode'. Inside the Property Panel, click 'Modifier tab' to enter, then click 'Add Modifier' and select 'Multiresolution' from the pull down menu. 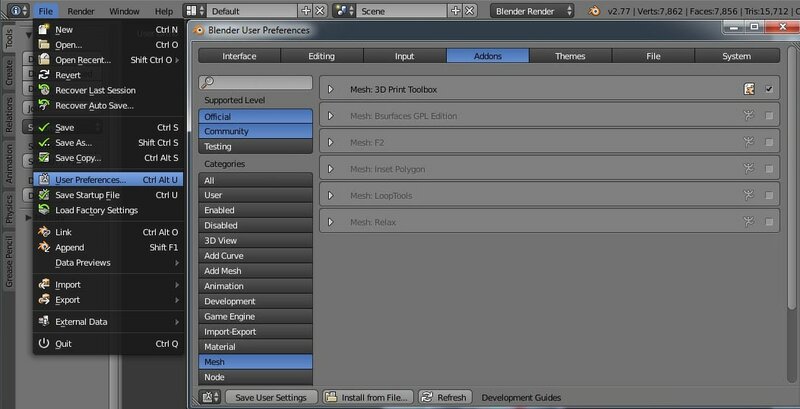 Switch to 'Edit Mode' to preview low-resolution model. Select the top vertex on the ear and Snap cursor to this vertex. Create a 'Torus'. RX '90' (Rotates 90 in X-axis) and set Major Radius to '0.3' and Minor Radius to '0.12'. Use 'G' key to move the keychain handle. 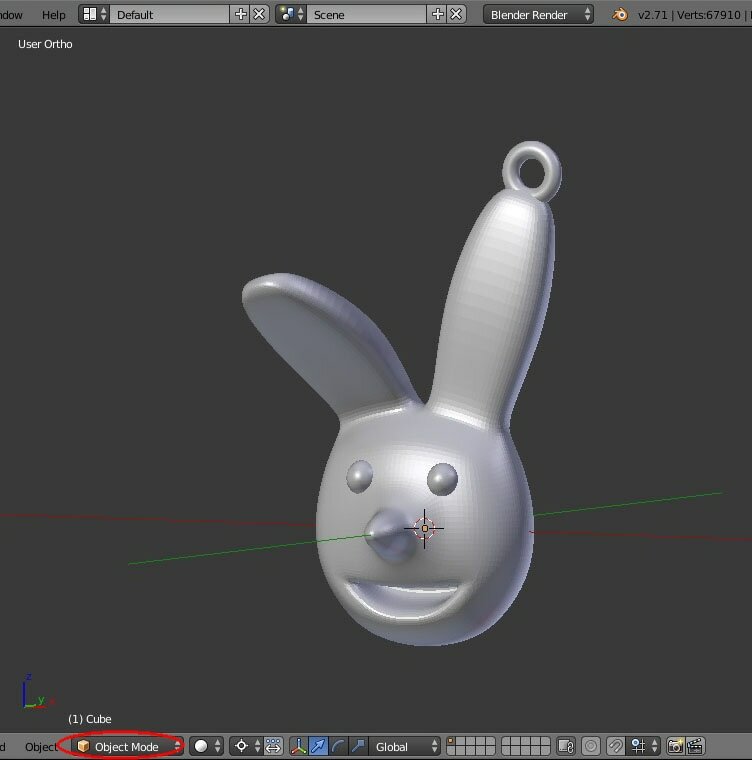 Switch back to 'Object Mode' to preview hi-resolution model. *Reshape the face if wish. Firstly switch back to 'Edit Mode' and carefully sculpt the cheek alike picture on the right. Goto File > User Preferences. 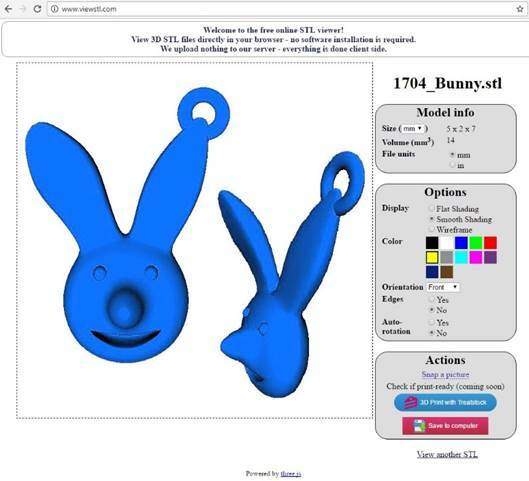 Then goto the 'Addons' tab and under 'Mesh', check the box to launch '3D Print Toolbox'. 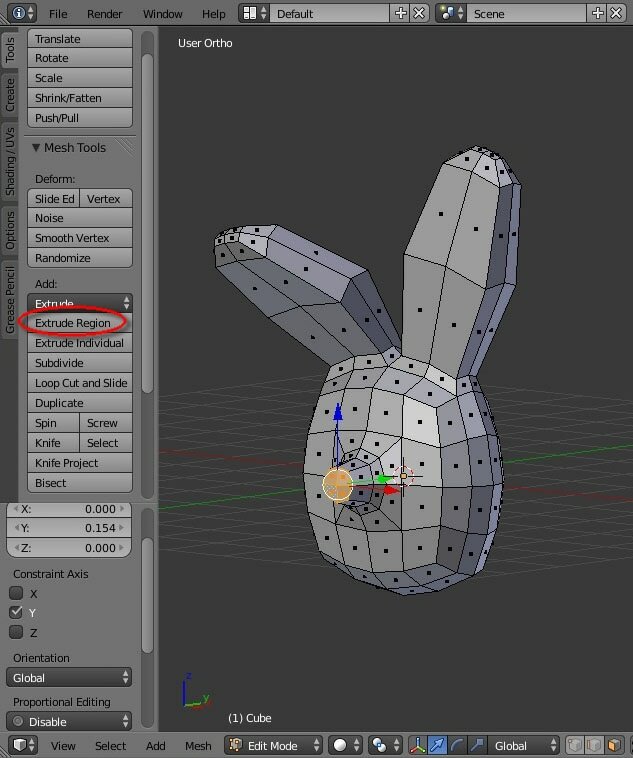 In the 'Tool Self', click '3D Printing' tab and firstly select the geometry object, then under 'Checks:', click 'Check All' to see result. 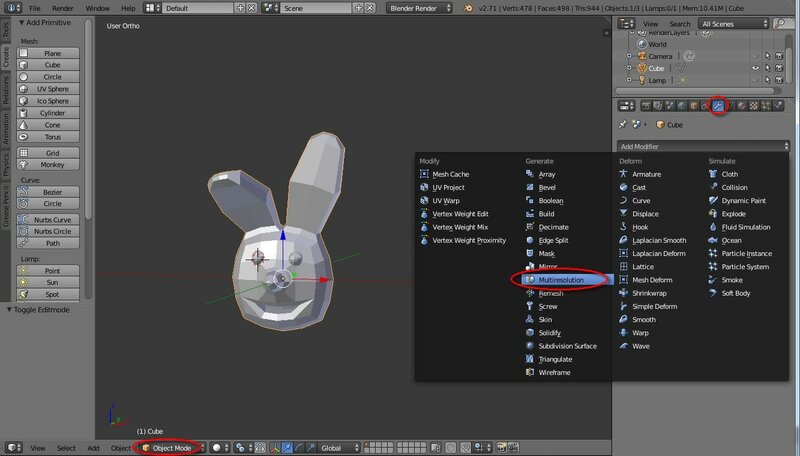 Click the 'folder icon' and select correct path to Export model to .stl file.